Everyone who has used Genesis knows that creating a custom header can be time consuming and a daunting task. I used to create my header area by adding a second widget area via a function and adding css to style it. I have discovered a faster way that has saved me many hours of of development and has allowed me to spend my time styling rather than developing. After viewing a post on facebook about a method of inserting Beaver Builder page content via shortcode, I decided to give it a try! I was surprised and rather happy with the results I achieved in an hour, rather than a day of coding and tweaking. Ok you have installed all the plugins you need, now what? Activate all the plugins except Better WordPress Minify, you will do this last! Create a page called header, i recommend using dambuster and setting the page to full width(dambuster will appear at the bottom of your page editor) and uncheck all the other options(!important). Ok, go to your homepage and your new header should be there! Ok you see it load unstyled, don't freak out! To fix the style issue, activate Better WordPress Minify and you will move your script for your fl-builder-layout-238 to your header. By default it loads in the footer and that is why you get the unstyled content! 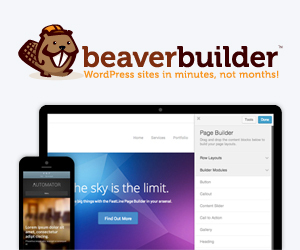 Ok hope this helps you get started creating headers with Beaver Builder. 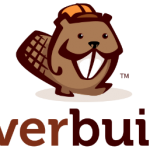 To create a footer with Beaver you pretty much follow the same idea! Name your page Footer and use your footer hook in the same manor!